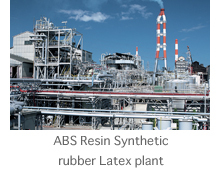 Petrochemicals/Basic Chemicals｜Sumitomo Chemical Engineering Co., Ltd. 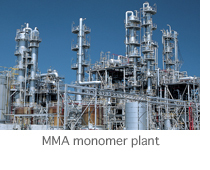 In recent years, petrochemical and basic chemical plants have been diversified to facilitate high- added value, larger scale facilities, overseas locations and diversification, and they are also required to offer harmonization with environment preservation. SCEC constantly responds to the needs of the age such as these, and so it has accumulated considerable experience in the construction of many plants from small-scale projects to national projects. This is not limited to Japan, and SCEC also has extensive experience in S.E. Asia and the Middle East. Drawing on its vast experience, technology and management capabilities accumulated over half a century, SCEC responds to the needs of clients with flexibility and precision and supports the advancement of the client's business operations. 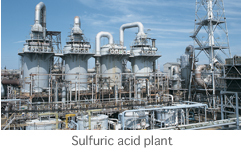 SCEC's sulfuric acid production facilities were originally Japan's first such production facilities built to process flue gas generated during copper ore roasting (torrification), and they are underpinned by many years of experience and the latest technology. SCEC has built many sulfuric acid production facilities, and based on this extensive experience, it is able to respond to a wide range of feedstocks and produces very high-grade sulfuric acid. 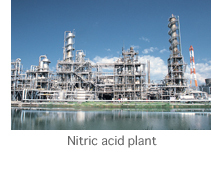 The hydrochloric acid oxidation process is an extremely environment friendly method. 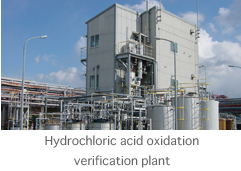 Production facilities using chlorine create the by-product hydrochloric acid, and this is oxidized by a highly active catalyst and converted to chlorine in a very effective way and recycled and reused. SCEC and Sumitomo Chemical Co., Ltd. developed this highly innovative technology jointly, and it has won an outstanding reputation, both in Japan and overseas.